Lumosity continues to feed and prime my “projected identity” through a variety of ways. The juiciness is always encouraging of any progress that is made. When I don’t perform as well as I hope to, it never communicates that negatively. The explanations of games and their purpose prime me into believing that the game will help me develop a certain skill. Lumosity has the illusion of unmasking the ‘black box’, although I, as a player, have no idea how tapping on train tracks or swiping on the screen makes me a better multitasker. 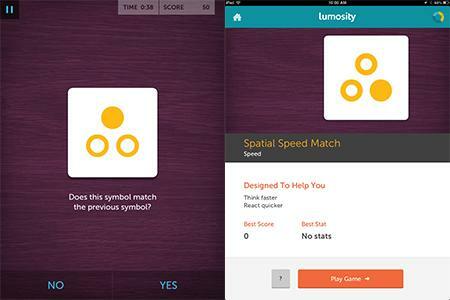 In my third blog post, I will discuss more in depth the effectiveness of these brain games and the role of the “projected identity” in Lumosity’s marketing and design.